Black Mold Can be Life Threatening. Why do you need the services of a Manhattan mold removal team? It’s a valid question. Millions of individuals are unknowingly affected by the presence of mold in their homes. As a result, those same people develop troubling health symptoms. Black mold is not a rarity. It may not be as common as other types of molds, but it can wreak havoc on your health. Mold spores exist everywhere. They threaten your health when they find vulnerable materials to feed off of. 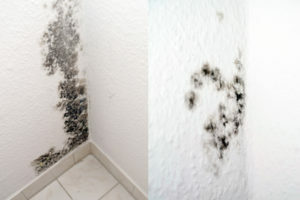 No matter what type of mold spores have taken up residence in your home or on your property, prudent action is needed. What can you do to address the problem? Manhattan’s high levels of humidity increase the likelihood of mold spores infesting the home. Stern Mold’s Manhattan mold removal team of experts can identify, diagnose and remediate different types of mold that may be invading your space. If your home includes any of the above red flags, then it’s time for a mold inspection from a trusted Manhattan mold removal company. You can keep mold out of your home and away from your lungs with our expert help. Stern Mold experts get to the root of the problem. With our expertise, you can finally get the solutions you need to address any mold issues that have plagued your health. If you’ve found that fungi have taken all the fun out of your day-to-day, it’s time to find a solution. Stern Mold’s NYC mold removal team will stage a mold intervention at your property so you can reclaim some normalcy again. 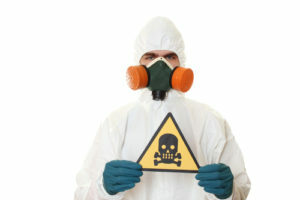 Mold aka invasive fungi eat away at peace of mind, property structure and maybe most importantly, your overall health. As a result of a fungi invasion, you may undergo troubling symptoms that have life-altering effects. 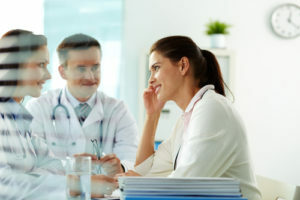 The connection between respiratory illness related to damp spaces and the presence of mold continue to strengthen as more studies are conducted to document mold effects. Due to the presence of mold in water-damaged businesses, and mold in residences, mold studies linked exposure to a new onset of asthmatic symptoms in employees and young children. Consequently, there were also cases of hay fever and other varying allergic reactions that seemed directly or indirectly triggered by mold growth. Our Stern Mold Removal experts strive to keep mold away from what you treasure most. Everyone should have the opportunity to live healthy, mold-free lives. Contact us today to discover what mold-free means for you! The CDC Says You Can Control Mold! Think of mold like a household pest. It inevitably invades your home like ants or roaches, but the problem gets worse if you aren’t doing anything for prevention or control. Don’t let a plumbing leak or high moisture levels contribute to indoor mold. The CDC has tips for controlling mold to help prevent another breakout after you get NYC mold removal to clean up the current mess. When mold has infested wood, drywall, or other porous surfaces, ask an NYC mold removal specialist for help. The typical mold spots on bathroom tile are much easier to clean. The CDC also warns that moisture creates a breeding ground for mold. That’s why you often find mold after a flood or leak and in places like bathrooms and basements. Be sure to remediate flood damage immediately and get rid of old carpets and rugs in bathrooms or anywhere near moisture. Check that your air conditioner, laundry machines, and cooking equipment are well ventilated. The sooner you get rid of mold and dehumidify the building, the better your chances of avoiding respiratory disease and other health problems. Stern Mold offers a free inspection for our low-cost, guaranteed NYC mold removal service. Call 888.887.8376 to schedule a visit. Is Mildew Toxic and Dangerous Like Mold? Mildew and mold are both types of fungus. Of course, so are the mushrooms we eat. How can you tell if a mildewy spot needs to be dealt with like toxic mold? When in doubt, call your NYC mold removal company. To cut to the chase, no – mildew does not cause the same health problems as toxic mold. Asthma problems, running noses, perpetual cold symptoms, or even bleeding lungs can be caused by mold. Mold is especially harmful to the young and the elderly, as well as to immune-compromised people. Mildew looks powdery and ranges in color from white to gray to brown. 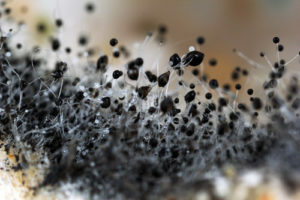 Toxic mold will typically be larger and fuzzier, and either red, green, or black. Mildew found on tile or painted surfaces can be removed easily with an appropriate spray cleaner. However, if conditions are right for mildew to grow, your building might be at risk of mold contamination, too. Damp bathrooms, dank basements, dripping plumbing under the sink or in the walls – these are all situations that promote both mildew and mold growth. Whether or not you have toxic mold, you can breathe a sigh of relief. Our NYC mold removal service is faster, cheaper, and longer lasting than traditional remediation. We kill the spores, clean the area, and seal the surfaces so that we can offer up to a 5-year guarantee. Call Stern Mold at 888-887-8376 for a free inspection and quote for NYC mold removal. People have a natural aversion to mold infestations, for good reason. While the health risks can be devastating, especially for public buildings and households with children, it’s important to get the facts about mold. Defeating the problem with NYC mold removal is easier than you think. The CDC identifies stachybotrys chartarum or stachybotrys atra as what’s commonly called black mold or toxic mold. Black mold is found in homes and buildings inside of walls, in cupboards, and other places that affect the air you breathe. It feeds on anything with low nitrogen and high cellulose, such as wood, paper, and other building materials. It often grows when excess moisture is present. Do You Need to Vacate Due to Mold? The CDC recommends that those affected speak with a doctor about potential health effects. Keep in mind that mold remediation does not necessarily mean vacating a building for days or weeks. Modern science has produced methods for NYC mold removal that can be performed in a matter of hours. By killing black mold and encapsulating it so it cannot spawn again, you can avoid costly remodeling and lengthy hotel stays. You can relax and take a deep breath – there’s help around the corner! Contact us for a free inspection and fast, affordable NYC mold removal service.